Ultra Sino Shield™ is a pure plant-based product. 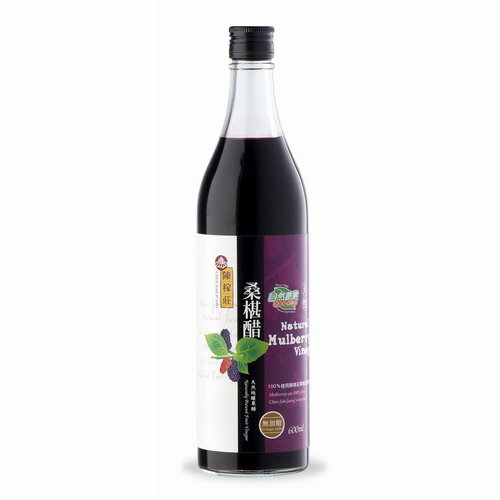 It is enriched with nutrients such as Vitamins A, B6, C, minerals such as Magnesium, Zinc and fruit extracts like Grapefruit seed and Lycopene. Premium plant extracts such as, Ginger root, Echinacea Augustifolia, Allium Sativa, Cayenne pepper, Maitake, Shitake and Myrrh are added to give you even greater protective effects. 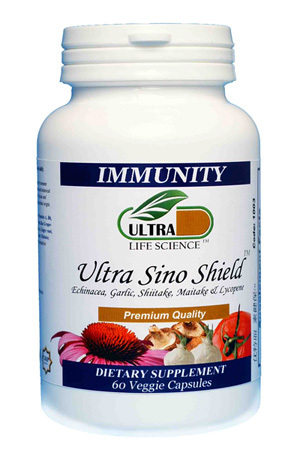 Ultra Sino Shield ™ formulation includes a combination of immune boosters that compliment one another, is affordable, and easy to administer. Ultra Sino Shield™ effectively helps mobilize cell-mediated immunity by producing white blood cells and natural killer cells. Additionally, it helps to stimulate the humoral immune system to produce antibodies to specific foreign particles. ♦ The unique combination of antioxidants may help to boost the immune system. ♦ May aid in the treatment of acute and chronic infections, whether bacterial, viral or of other microbial origin. ♦ Great for fighting off the common cold, flu, and other viral infections. ♦ Individuals who wish to treat and/or prevent common cold or flu. Symptoms include fever, cold and running nose etc. ♦ Persons suffering from various forms of viral infections, allergies and chronic sinusitis. ♦ Persons with Candida infections. ♦ Individuals seeking to enhance work efficiency and maintain good health. During an acute episode of cold and flu, taking 3 capsules a day during the illness and then 2 caspules a day for the week afterward will often speed recovery. As prevention for people who are exposed to or are at high risk of exposure to cold and flu viruses. Helpful in alleviating the symptoms of recurrent bronchitis, sinusitis, and ear infections especially during episodes of persistent illness. Provides immune support for asthma with Vitamins C, B6 and magnesium contained in the product. Useful in treating acne. Zinc, Vitamins A and C, and Echinacea are recommended and the other components provide anti-inflammatory action. Echinacea: promotes white blood cell function by increasing migration of these cells to infected areas. It provides anti-viral activity and prevents the spread of bacteria. It does this by inhibiting an enzyme necessary for the bacteria to penetrate cell membranes. Additionally, one of its components, insulin, activates macrophages and natural killer cells. Vitamin C: enhances anti-viral and anti-bacterial properties by stimulating white blood cell response and function. It increases secretion of thymus hormones and improves integrity of mucous membranes. Zinc, Vitamin B, Vitamin E and A enhance humoral (anti-body related) and cell mediated immunity. Ginger: It is used for abdominal bloating, coughing, vomiting, diarrhea, and rheumatism. Ginger is commonly used for the treatment of inflammatory joint diseases, such as arthritis and rheumatism. Allium Sativa: commonly known as garlic, contains allicin which helps prevent and treat infections. It has a reputation for being a strong anti-fungal medicine. Bioflavonoids: anti-inflammatory and antihistaminic effects. They may be beneficial when allergy is present with or without an infection. Citracidal: is a grape seed extract, which is highly active against viruses, protozoa, bacteria and yeast. It is known to be effective in parasitic infections such as Giardia and Candida. Shitake and Maitake mushrooms have proven immune enhancing properties. The D-fraction of Maitake stands out for its ability to enhance cell-mediated immunity. Myrrh: The three main constituents of myrrh are the resin, the gum, and the volatile oil. The resin has reportedly been shown to kill various microbes and to stimulate macrophages (a type of white blood cell) in test tube studies. Myrrh also has astringent properties and has a soothing effect on inflamed tissues in the mouth and throat. Cayenne pepper: contains a resinous and pungent substance known as capsaicin. Topical application of capsaicin relieves pain and itching by acting on sensory nerves. Lycopene: This is a carotene which has antioxidant activity. Lycopene plays an important role in cancer prevention. The intake of lycopene may help to reduce cancer risk, in particular, prostate, pancreas and stomach cancer. According to different studies, lycopene may play a protective role in preventing early stages of cervical cancer development and myocardial infarction. In a vegetarian or vegan’s diet, there may be deficiencies in certain nutrients such as zinc and calcium. Ultra Sino Shield™ is added with magnesium which aids in calcium absorption in our body, thus, enhancing the absorption of calcium. Ultra Sino Shield™ is also incorporated with zinc, which is likely to be lacking in a vegetarian’s diet. Zinc is needed for growth and development. Its excellent source is shellfish, which is excluded in a vegetarian diet.